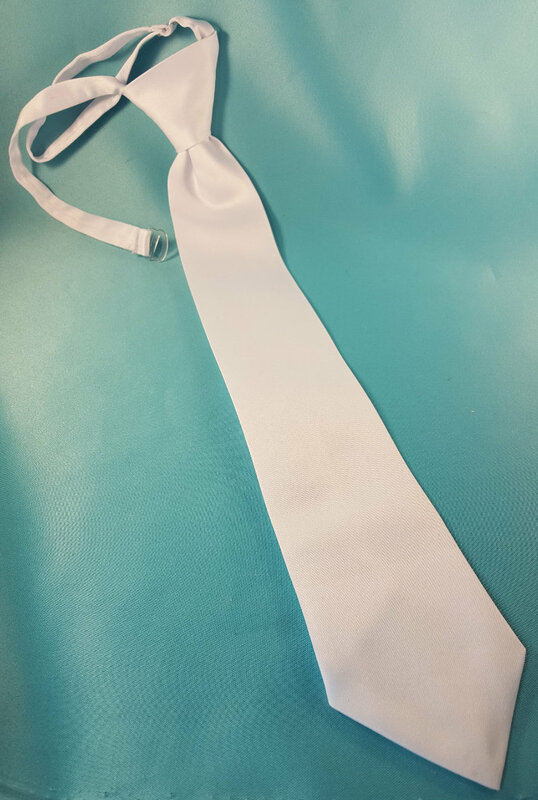 Boy's white satin boy's tie with adjustable neck strap. Pre-tied. Perfect for a young man about to received his First Holy Communion. Tie also available with cross(BT580C).